Lighting-Gallery-net - Incandescent - General Service 25-100 watt/Action Tungsram 100w Soft White 3 pack - awesome find! 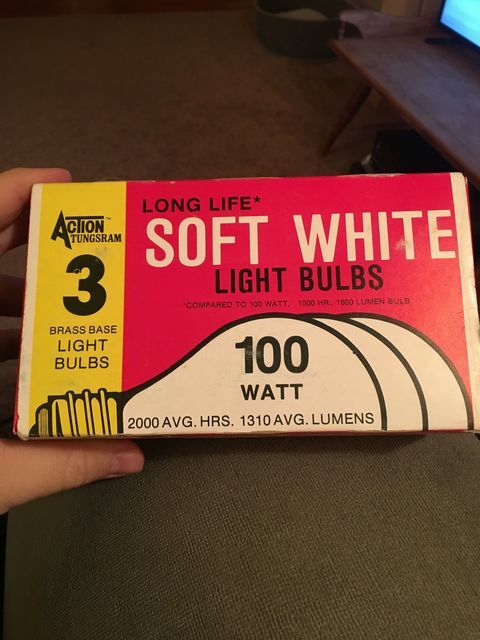 Action Tungsram 100w Soft White 3 pack - awesome find! ReStore find. The 3 inner sleeves have a copyright year of 1978, the outer sleeve has a copyright year of 1980. So the bulbs are early 80s vintage. I remember them in my childhood. I remember them as well. Awesome find! Believe Kmart sold those back in late 70s.